The capillary water barrier with polymer resin is an injection method according to the Austrian standard ÖNORM 3355. 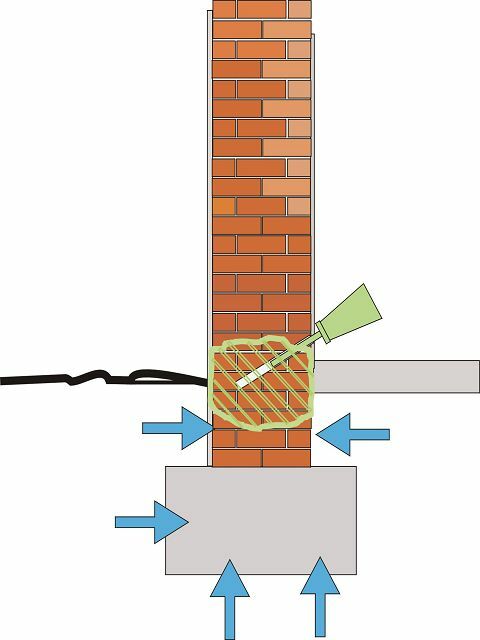 This pressureless injection creates a barrier in the masonry, which prevents the water from rising further. 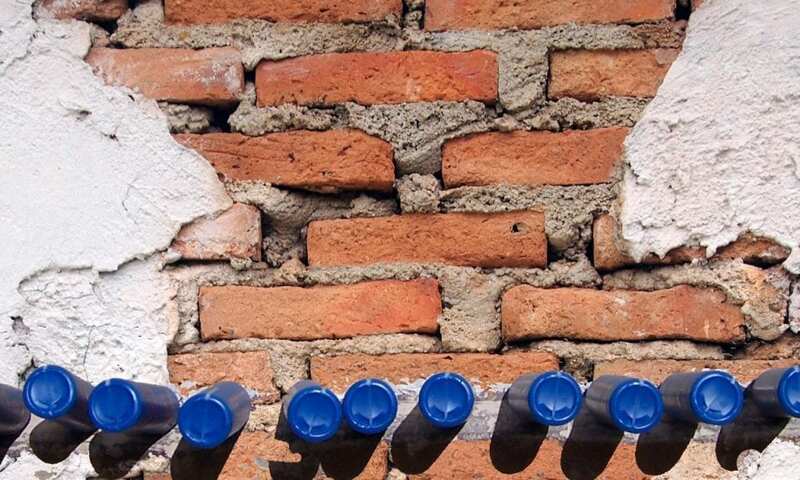 In the affected masonry, a barrier bar against rising damp is erected selectively with low-viscosity polymer resin. For this purpose, it is inserted into drilled holes without pressure, where it reacts with the water and the salts. This process closes the capillary system of the masonry. Drying takes place either naturally over a longer period of time or within a very short time with the aid of an infrared rapid dryer. The necessary work can also be carried out by the clients themselves. If desired, authorised experts can be consulted during injection sealing. © 2018 SECCOtech e.U. Alle Rechte vorbehalten.